If we’re not happy in our marriage, something is wrong. If we’re not happy at work, something’s wrong. If we’re not happy at Mass, at home, with our life, this is not God’s will. I think, the truth is: we settle. We settle for marriages that are surviving but not thriving. We get used to arguments, selfishness, and lack of affection. We settle for showing up for work without seeing the deeper meaning, without giving 100%, and can’t wait until we go home. We settle for relationships that aren’t nurturing us. Most people are so used to Mass being boring that they’ve either resigned themselves to the fact or they start skipping Mass. Personally, I don’t like settling, because we’re made for more. God wants us to have a joy-filled marriage, work should be meaningful, we should want to be at Mass, and relationships should be life-giving and bringing out the best in us. 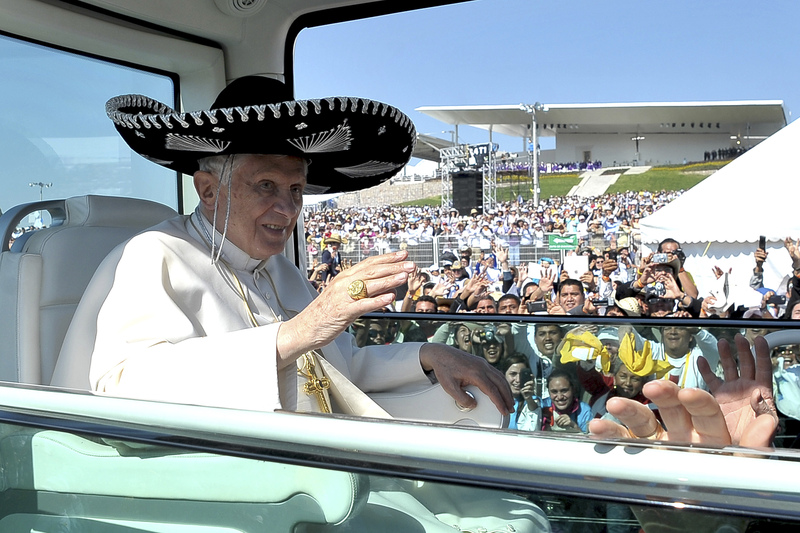 When Pope Benedict visited Mexico in 2012 he said, “God wants us to be happy always”; a disciple is a “bearer of happiness!” In his book Salt of the Earth (p. 29) he said that Jesus started the Sermon on the Mount with the Beatitudes, which you might call a “school of happiness.” God wants us to be happy, because it leads us to Him. Now let me say right away that true happiness is not a superficial kind of happiness; true happiness is deep and long-lasting. “If you want to be happy for an hour, take a nap. If you want to be happy for a whole day, go shopping. If you want to be happy for a weekend, go fishing” (Rediscovering Catholicism, 187). But we’re meant for more. True happiness does not mean we’re having fun all the time or that we never suffer or go through difficulties. God uses suffering to bring about a greater happiness. Today, the book of Wisdom says, “God created man for incorruption, and made him in the image of his own eternity.” We’re made in the image of God’s eternity, which means we’re designed to be filled with eternal and perfect happiness. We are not designed merely to have fun, to party all the time, just to find happiness in buying things and getting stuff. We’re made for more. Jesus said “I came so that they might have life and have it more abundantly” (Jn 10:10). Did He teach everything He taught so that we may survive, get by, or just have fun? No, He everything He taught was so “that my joy may be in you, and that your joy may be full”(Jn 15:11). 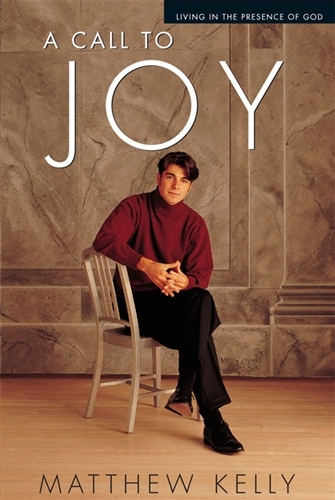 Matthew Kelly, who wrote the book we gave out at Christmas, had everything going for him as a young college student: great friends, a great girlfriend; he was good in sports, and was going for a double major in marketing and finance. One time, at a party, an older man who was a doctor, asked him, “How are you, Matthew?” He said, “Fine.” He then asked him probing questions about his life. After hearing the answers, he looked at him and said, “Matthew, you’re not happy, are you?” He was ashamed to admit it because our culture teaches us to pretend that everything’s fine when it isn’t. But this man knew what was going on, and Matthew knew something was missing. His life wasn’t falling apart; on the contrary, everything was going well and still he wasn’t really happy; he had a restlessness inside him. Six weeks later, with the restlessness getting worse, he took the older man’s advice: he started dropping by church everyday for 10 minutes. Inside the church, he felt incredibly peaceful; for the first time in his adult life he felt genuinely peaceful. On one of his visits, faced a problem, he truly asked for the first time, “God, what do you want me to do?” And with that question, he life began to change. The key is that he recognized his desire for more and addressed it. So for us, if we’re not happy, get in touch with what’s bothering you and ask questions. Marriage will always involve difficulties because we’re human. But your marriage was designed by God to be joy-filled, and if you’re not happy, figure out what’s wrong. The solution is not to get a new spouse, but to look for a solution: talk to someone about it, pray about it, forgive more. I know it’s hard for some marriages to improve and sometimes it feels hopeless, and just surviving is the best some spouses can do. But despite this God can help us and improve things. Another example: let’s say work is hard and the boss is terrible. Don’t give up hope that things can be better and that work should be meaningful. Instead, you could find a new job, maybe talk to your boss about the problem, maybe make a formal complaint or something along these lines. In other words, confront the problem. Or perhaps God is calling you to be more patient, to reach out to your boss, to pray for him or her, or to do your work better. The point is: either: 1) the situation has to change or; 2) we have to change or; 3) maybe both. But don’t settle! People sometimes complain that Mass is boring. Ask yourself this question: can you change things at Mass? If so, then do it. If you can’t, then change yourself. I’m the one who has the responsibility of improving the way we celebrate Mass and I’ll do my best. But your responsibility is to grow in knowledge of the Mass and in how to pray better while at Mass. Every time I tap into my desire for happiness, my life gets better. If we tap into this desire in every aspect of our life, then life will be better. And if we keep on tapping into this desire, we’ll realize one of the most important truths of life: ultimately, nothing here in this life will ever make us completely happy. We’ll then focus more and more to our relationship with Jesus. We’re made for more happiness here, and then for eternal perfect happiness with Jesus. We’re made for more.